On August 1st, we will officially transition to a new electronic payment provider. The partnership with Vanco Services and On Realm will allow you to give in several ways. 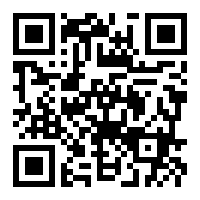 Use the camera of your smart phone to scan the QR code provided below. Send a text message to 73256. In the body of the message type FIRSTGRACENOLA GIVING. Follow the prompts. And be mindful that standard messaging rates apply.